We've all been to big sporting events, be it a major league baseball game, NFL game or even a college or minor league game, and no matter which one we go to the one constant is that we all expect to have high-performing, reliable Wi-Fi access. 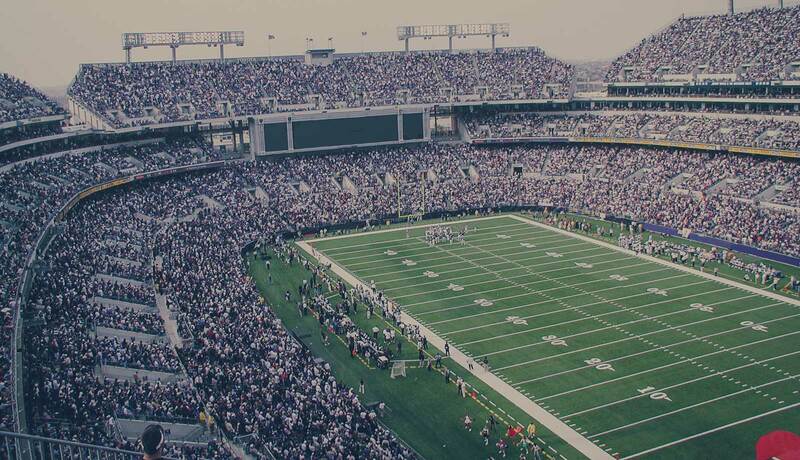 The problem is that with 1000's of fans and even more devices demanding access inside today's sports stadiums, successfully delivering connectivity isn't easy. Coming off a recent experience I had of my own, I decided to dive deeper into the game-day or fan experience and how wireless platforms and mobility are re-shaping the way we experience our favorite sporting events. Instead of simply writing about it I decided the best way to take a closer look was to chat with my boss and CEO at SecurEdge Networks, Philip Wegner. Check out the Google Hangout below. 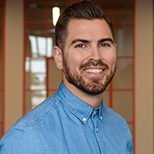 Danny Mareco: I was at a Minor League Baseball game the other day, here in town, and being in wireless and doing what we do I'm always curious into what people are doing on their phones. I always ask people if I noticed they've been at the game or something like that, "What do you think of the Wi-Fi?" A lot of the times people are like, "It's okay..." I don't know if people's expectations are just way too high nowadays and it's never good enough for them, or what the disconnect there is, but usually it's not...rarely do I have something to be like, "It's freaking awesome." And I have their complaints but a lot of times people do have complaints. But anyways, I was at a game, and I was like, "They have Wi-Fi but that's about it." You could use you phone, you could use your apps, you can do what you need to do pretty smoothly. So that type of experience, that was pretty much all I noticed. But it made me want to get on a call with you and have a conversation, pick your brain a little bit, about what we're seeing in terms of the industry and in terms of what's driving the new stadium experience or fan experience. Just what that world is starting to look like. Just to get started, what do you think can be done nowadays inside of the stadium? Philip Wegner: If someone has a lot of money, there's a lot of things that you can do. Let me start a little bit with what's happening inside the stadium, and why they're doing a lot of those things. We all have big screen TVs at home. So if you've got an 80-inch TV and you've got high def and all those types of things, it's a really great experience at the house. And so what stadiums are now trying to do is are competing with that home experience that we all have because we all have big screen TVs and things like that. So, in the minimum level, what they have to have is...what really everybody's focused on is they're focused on improving that game day experience when people are inside the stadiums. And so, some of them call it connected experience, some of them call it the game experience, but what they're really trying to do is compete with our home systems. So at a high level, what the really high-end stadiums have done, and these are like the 49ers and those types of stadiums, is that they've built apps for the in user that either create interaction with the game, so it lets them show replay, for example, or even can extend to a concession stand. So there's all sorts of things that you can do inside a stadium if you have the right infrastructure that's in place, and then you've got software built on top of that infrastructure, and that's really what interacts with that in end user. Does that make sense? Danny Mareco: Yes. You mentioned the 49ers. So you're able to do replay. You're able to...what other types of things specifically that people actually... from a very minimum sort of standpoint to maybe the 49ers is the benchmark right now. We're talking about being able to know how long the lines are, so you don't have to get out of your seat? Philip Wegner: Yes. Let me start a comment with the application side or the experience side, and then I'll gear it down towards what infrastructure it takes to make all that stuff work. What the 49ers have done, and I don't have direct...I just read a lot of case studies, and I know what they built and talked actually some of the guys who were involved in designing the system. What they have is an app that interacts with their stadium in a way where it looks at the location of the user. And why that's really cool is the application itself, you can actually order food from the application. And what they've from a stadium perspective, what you can do is drive demand or drive concession sales because now the end user doesn't have to get out of their seat in order to order food, and that's really cool. And the other thing that they did is they integrated things like...if you imagine a big stadium, the things you want to know are where do I need to go in the stadium to get to a concession stand if I'm going to get up to go and get a beer, or where is the bathroom and how long are the lines? So if you have the infrastructure inside the stadium where you can track things like locations of where the users are, now you can do really cool things that are really simple, like how many people are at the bathroom, which estimates how long the bathroom line is. So there's really cool things that you can do with the right type of infrastructure. But from the stadium's perspective, they can build a better experience because the user can get up and go the bathroom or whatever and get back quickly. They can also order food or see where the concession lines are, and those are really cool types of functions inside the stadium. But from a tracking or analytics perspective, what they can also do is look where people are going inside the facility, and that's also really important when you're thinking about marketing or how traffic flows inside the facility. Danny Mareco: So it really extends way beyond checking your fantasy football score or something, or posting a tweet, or doing those sort of... I think that's what a lot of people think of when they're able to use their phone in a stadium. "Can I post this picture to Facebook or something while I'm here? Or can I get on Snapchat right now?" It actually goes way beyond that in terms of what people can actually do. So I guess a lot of it is getting that out there, though, for people and understanding that, for some of these stadiums, they put this stuff, they budget all this out, and they actually go through it. So then it's also about training your end users on all this cool stuff that you can use. Philip Wegner: Yes, so the way you think about is you kind of have to think about the benefits for the different people that are using or are going to be operating the systems. First, you have the end user, and what the end user gets is a better experience because it's more like my home experience. I've got really high-speed access. I've got an app perhaps if the stadium is invested in that, that does all these cool things. It's really driven by what the stadium wants, so player stats and all that can be on there. But you can also drive concessions or order from your location, and those are all really cool things for the end user. When you look at the benefits from the stadium operator, now what they're looking at is they're looking at all sorts of analytics on where the users are going inside their facility, and that tells them really all sorts of things like how to position marketing materials, where they're going inside their facility, so they're looking at traffic flows. But then they're also looking at data and how they're using the systems and the apps. And they're using all that. The marketing team can use that, the facility's team can use that. And so there's all sorts of benefits from the actual stadium operator side as well. Philip Wegner: Yes. You can do what we call [inaudible 00:07:46] visibility on the entire network, which just means that you can see where people are going online. So that's really kind of a security function, but you definitely could look at those types of things. So a customer that has all in, like the 49ers for example, they're going to have their own app that's built to do certain things, the things they want to be able to do. And then from the infrastructure perspective, they're going to have really fast Wi-Fi infrastructure. And I think the Super Bowl this year set a record for data throughput in one event. I think it was 10 TB or something. And then in order to make the Wi-Fi run, of course, you've got really fast wire infrastructure as well, and then you've got all the security components that go along with tying all that together. And then the other kind of important thing that stadiums are going to want, if they want that do all the location stuff, is they're going to have some sort of Beacon Technology, which is a little bit different than Wi-Fi in the way it does tracking of the devices. And if you're going to do wayfinding, and order from your seats, and all that stuff, you got to have that Beacon Technology in there, as well. Danny Mareco: So I guess going along with that, there's a lot of cool things you can do. How easy, or difficult, or complex is it to actually do a lot of these things? Danny Mareco: People aren't really satisfied with... even if it does work okay, it just seems like it's never fast enough. Danny Mareco: Or reliable enough. So you have big, big stadiums like the 49ers that do their thing. Is there other ways to piece this together or do you have to go all in when you do something like this? Is there a way to build it over time? Philip Wegner: So, when we're looking at a stadium deployment, for example, what we see a lot of times is that the first thing that a college wants to do is they want to put Wi-Fi and stuff in their press boxes, or in their luxury boxes, and you can do that. When you get down into the general areas, right, you really have to go all in and decide you're going to go...otherwise, the service feels crappy for the end user because it's really a capacity game inside of a stadium. So if you take one access point, for example, on Wi-Fi, and you put it inside of a stadium, it's going to work really well for the first number of users that connect to it, and then once users start coming in, it's just going to feel terrible for everyone who's connected. And so when you get into the actual stadium area, if you will, you really have to go all in. It's really hard to piece part that without just delivering crappy service. And the reason being is that Wi-Fi is a shared medium, so if I have one access point and I've got 25 users on it, that's great. If I take that same access point and I put 250 people on it, I'm taking 1 GB speed and slicing it by 250, and that just doesn't work, and the systems weren't designed for that. So you could piecemeal press boxes, luxury boxes, things like that, but once you get into the main area, you really have to do a design and you really have to go all in. Some companies or some schools or teams will do that. They have to be willing to commit to do it, and it's relatively expensive. Danny Mareco: Would you say that from the analytics side of it, as well as the business side of it, there's a lot of upside to doing it as well? Also just from an experience point of their fans and the people that are going to be paying on the tickets to come to these games. A lot of games aren't cheap nowadays, to go to an NFL game or even a college game. They are in pretty high demand. So it's safe to say you're going to get a lot out of putting in a system like that. Philip Wegner: Yes. Well, I personally don't think they're going to have a choice. I think that the fans demand it, so it's really driving that. Now, they could tier service. You could put in really fast Wi-Fi infrastructure, networking infrastructure, and you have to have the security stuff to run it. And that's really kind of a minimal level. The apps, and the location services, and all that, you don't necessarily have to add all those types of things. And those are kind of the advanced services. I think what you're going to see is the pro teams are going towards that, where you've got a game day experience app, the order from your seat stuff, all the really kind of crazy features. But then base is just, "Let me just put in really fast Wi-Fi. Let people connect," and then that's the minimum level of what they need to have inside for stadium technology. Danny Mareco: So on the other side of it because we ways talked about security as well being the foundation of a lot of things. How does security fit into all this? What kind of things do you need from a security standpoint? Because I think people are going to want to feel like, "Well, I'm surrounded by 40-50,000 other people. We're all accessing the network at the same time. How safe is this?" Philip Wegner: Well, it's kind of funny. So a lot of times when you log into a public Wi-Fi system, you get that splash page. We call it Captain portal in the industry, but it's basically just that page where you go into Starbucks, and you accept the terms and conditions. Nobody reads the terms and conditions. But if you actually read the terms and conditions, a lot of those systems will say, "Hey, we're not liable if you get hacked. Your data, your devices are visible to other users on the network." All those things are security risks that people usually don't give a lot of attention to. In a stadium kind of environment, an environment where you have a large group of users like that, there's a couple basic things that you need to do as the operator. The operator, what they need to do is make sure those users are as completely segmented from any source of internal resources. And there's ways to build that out. We call this role-based access control, but that just means that you need to know who's logged into the network, and what they're logging on with, and then they need to be in a role that segments them similar to the way a firewall segments people coming in from the outside of your network. You segment them, and so they can't touch anything from your internal network. So that's from an operator's perspective. But from the user's perspective, how the system needs to be designed is so that each user can't see the other user on the network. And that's really the difference between a high-end secure system and a normal public Wi-Fi system that you'll see at maybe a coffee shop, in a lot of cases, is that the technology is there to where you can literally segment the user. And so if I'm on and you're on, I can't see your device, you can't see mine. And the only place where that can go is to the internet, and that's really what you want. And then on the internet side, you're going to have something that does the antivirus and protection, and all that kind of stuff, to keep you from getting hacked from the outside. And those are the basic security functions that you're going to have on a Wi-Fi system at that scale. Danny Mareco: Would you recommend people that are going to put in a system like this go to that level? Philip Wegner: I do. A lot of that's driven by some of the features and functionality of which manufacturer you choose to deploy with because some of them like the cheaper crappy systems, which you're not really going to see in a large scale environment like that, they just don't have those types of security functions. There's only really two or three vendors out there that have the ability to do the things that I just talked about from a Wi-Fi perspective. And the way the end user really needs to think about it is it's really an integrated platform for Wi-Fi, and it involves your networking infrastructure, your security infrastructure, and your Wi-Fi infrastructure. It's not, "Hey, let me build this. Let me just throw up so many access points." Really the whole thing needs to be integrated into one platform, and then each component of the system accomplishes a different piece of that from a security perspective, or from segmentation, and those types of things. Danny Mareco: So you have this whole thing in there. How difficult is it to support or manage? Philip Wegner: It really depends on the size of the infrastructure, but you really gotta keep your eye on...there has to be a lot of reporting that comes out of these systems on the back end so that you can make adjustments. And when you're talking about these large scale systems, there's things like looking at access point density and how many users are connected to the APs. You're monitoring a lot with the channel settings on these types of networks. Sometimes a lot of the manufacturers, or all the high-end manufacturers, are going to have certain technology built in that's kind of adaptive, so it changes a lot of these things around. But you really have to have an engineer who understands how to look at the channels and the power to make sure that they're set properly if you're having issues. So really what you're doing is you're monitoring the performance of the network and then you're making adjustments, and you got to have a guy that's an expert level in order to even know what he's looking at. Danny Mareco: I guess the next final thing really is where is it going from here? So you're saying we're probably going to see this in most stadiums over the next five years or so, maybe a little longer in smaller schools and stuff like that, but pretty much everywhere we go in terms of a live event. Even concert halls potentially, we're going to have some sort of robust Wi-Fi infrastructure to support people using faster and faster mobile devices, and more and more applications that use video that are just bandwidth hogs. So is there anything else other than just putting in the Wi-Fi that you think it's going to be driving any huge regrowth there? Philip Wegner: Well, think about when we go to a hotel, we require that the network is there. So the end user really drives that every hotel has to have Wi-Fi infrastructure or fast connectivity. And that's carrying over into every other place that we go. So if the users are going to a public venue, whether it's a concert hall or a stadium, they just require that there is some sort of connectivity there, and I think more and more that's going to be the case. And it's the end user that's really driving that experience, and so if you look at any sort of hospitality environment, they require it. And I think that's going to be carried right over. And I think, from a minimum level, they're going to have to have fast Wi-Fi access. And then at maximum level, and these are the ones that can really afford it, they're going to have their own apps. They're going to have things where they have a lot of these advanced features, which just requires a little bit more infrastructure, and then requires someone to design that app for them or buy some sort of template app. So, yes, it's the wave of the future. And the fan experience it's going to be real-time video, with the playback replays on their phone, looking at players stats in real time. Danny Mareco: So short of all of us deciding all of a sudden at once that we don't want to use applications and mobile phones anymore it's going to be a Wi-Fi-centric world that we live in. Philip Wegner: Yes. Exactly. No, there's no really way to avoid it. I don't see it, anyway.